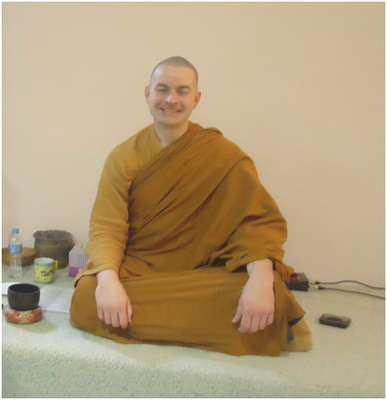 Are Buddhist Dharma Practices an Alternative to Seeing a Therapist? Millions of people in 'the developed world' visit therapists for all sorts of emotional and psychological problems they find difficulty in coping with by themselves. People who visit psychiatrists are usually very quickly diagnosed with some form of psychosis and treated with a mixture of cognitive therapies and antipsychotic medications. Various health insurance schemes around the world have greatly encouraged this growing practice. One major question that should be asked is whether the enormous growth in psychology based therapies are just a case of supply to meet a demand?, and more importantly, should anxiety and alienation always be treated with psychiatric intervention, without looking at alternatives where individuals take on more self-responsibility for coping with their own emotions. 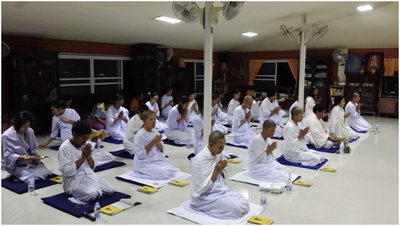 Phra Chayapon Chayaparo, the deputy Abbot of the Samangkeytamt Vipassanu Centre near Rattaphum, in Songkhla said that its very important for monks to be actively involved in peoples self education. 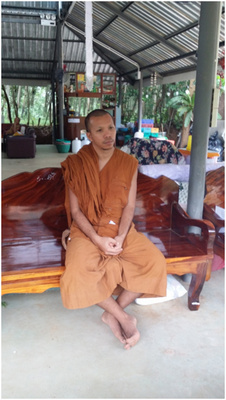 Chayapon stated that "that the monk gets food from the people, but doesn't give food back" is highly undesirable. Therefore it's important for monks to give leadership. Learning can only come from within the self, and it's up to the monks to facilitate this. 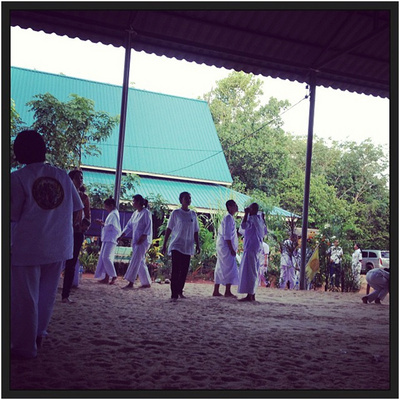 Learning comes from being outside your comfort level and this has always been a very important component of Thai Buddhist practice. 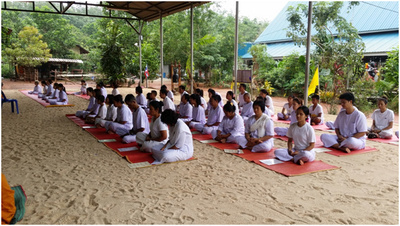 Consequently, what could be called a "shock treatment" is practiced at the Samangkeytamt Vipassanu Centre. These unconventional techniques guarded and handed down by forest masters are used to assist participants increase their mindfulness. 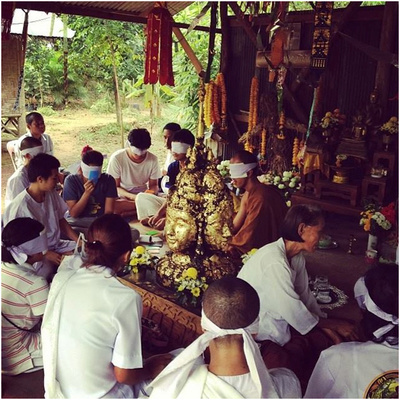 Phra Chayapon proudly says that many Christians and Muslims also attend the centre to assist them develop control over their mind-flow, so they can be aware of and overcome the influences of their emotions. The problem with most account of religion nowadays is that religion is considered another utilitarian social instrument like any other, thus the transcendent aspect of any religion worthy of that name is missed. Religion becomes sociology and psychology admissible as long as it is useful; otherwise it is "poison" as Mao used to say, and quite useless. Hmm, interesting question. Although meditation ... might help, I don't think it should be used as an alternative. There's no guarantee the teacher would be qualified or equipped to help with certain people. However, I think therapy and meditation go hand in hand.